Work hard, play hard, this is a quote I always tell myself. 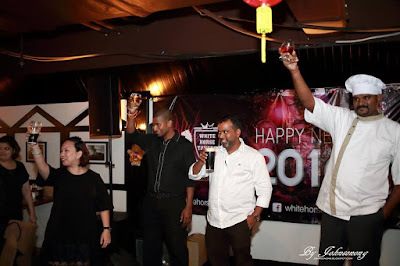 Hence, my colleague and I love to go Happy Hour every Friday after work as a celebration to a week’s hard work. We have tried out quite a lot of bars and restaurants in Klang Valley. 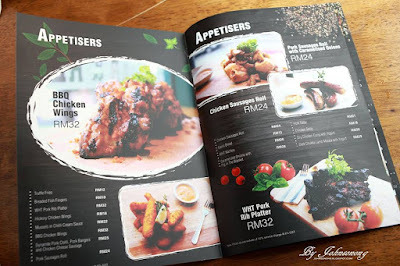 Today I wanna share one that is really good because we could get our alcohol and pork cravings fix here. The White Horse Tavern at Amp Walk Mall, Jalan Ampang is a new bar in town. 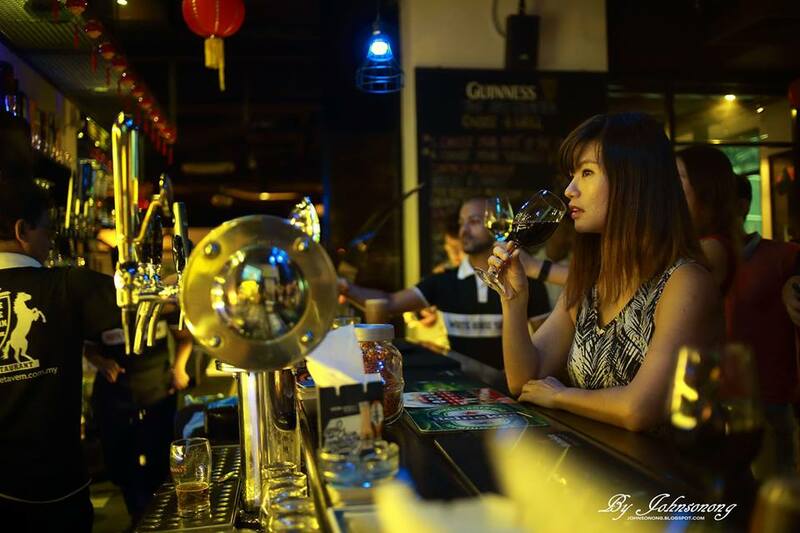 Here they serve Beer, stout, whisky, wine and many more choices of beverages. 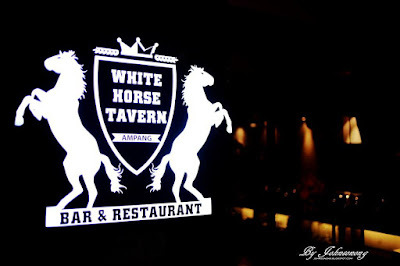 Serving really good porky food, it quickly turns to be our most favourite bar in town. With ample or car park at the basement with considering cheap parking fees, and spacious area with kids’ corner, it is indeed a best place for dining with family and friends. This tapaz is great pair with alcohol drinks. Portobello mushrooms stuffed with mozzarella cheese and wrapped in bacon and then grilled to perfection, this is juicy and yummy. 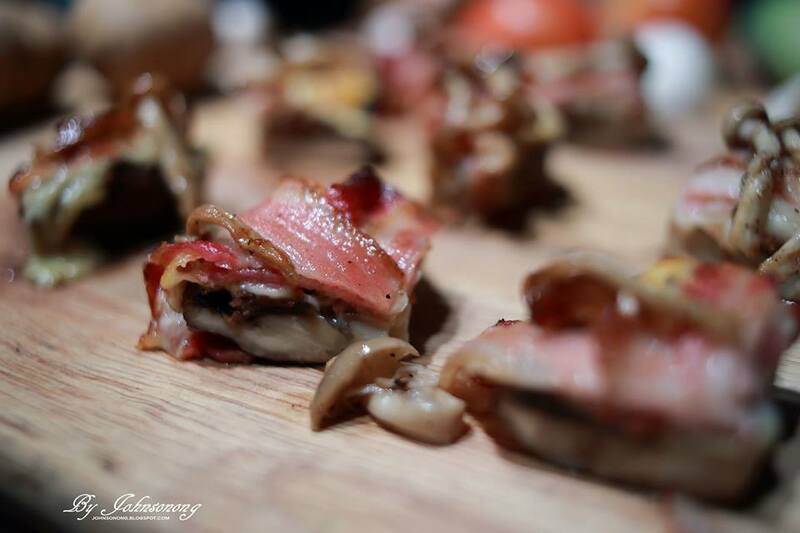 A favourite appetizer for the whole family. 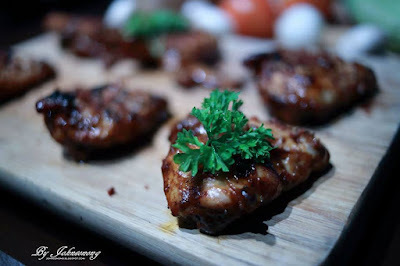 It is not just another BBQ chicken wing but indeed the chicken wings are marinated perfectly and barbecued to perfection. We can’t stop eating it. Honey Comb Baby Pork Ribs is Chef Yogi’s Signature Dish at White Horse Tavern. Using pure honeycomb from Cameron Highlands, it is sweet and juicy. 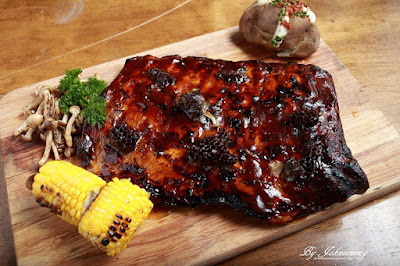 Served with grilled corn on the cob, jacket potato and a choice of sauce of BBQ, Black Pepper Mushroom or Hellfire XL Sauce. Every bite gives us different sensation, we can’t have enough of this! Honey Comb Baby Pork Ribs is exclusively available after 12PM from Mondays to Saturdays only. Do make a reservation prior to avoid disappointment. Crispy Roast Pork Knuckle is a very important dish of German cuisine that is best paired with beer. Served with crisp golden cracking and streaky bacon and the sauce of creamy spicy mustard, and prune and apple compote, WHT’s Crispy Roast Pork Knuckle’s crunchy golden crackling and the juicy, tender meat are simply awesome. 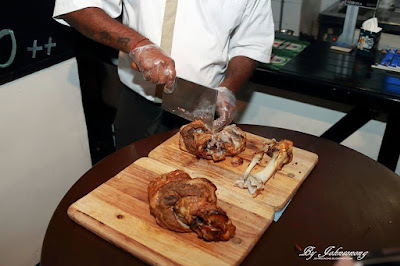 Chef Yogi also demonstrated us how to debone a pork knuckle. 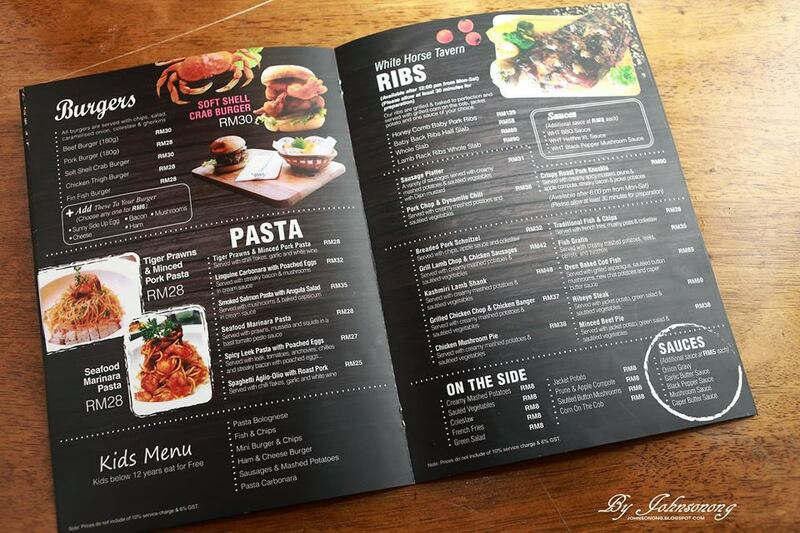 No doubt this is another must order item but take note it is only available after 6pm from Mondays to Saturdays. 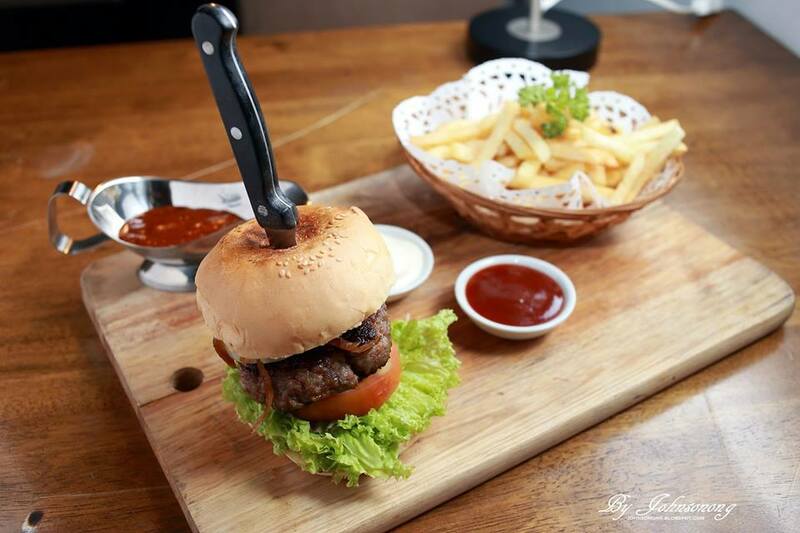 We love the thick and juicy patty. WHT’s pork burger is served with fries, salad, caramelized onion, coleslaw and gherkin. 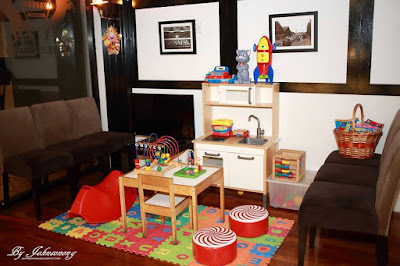 This is definitely a quick fix for the adults and the kids. 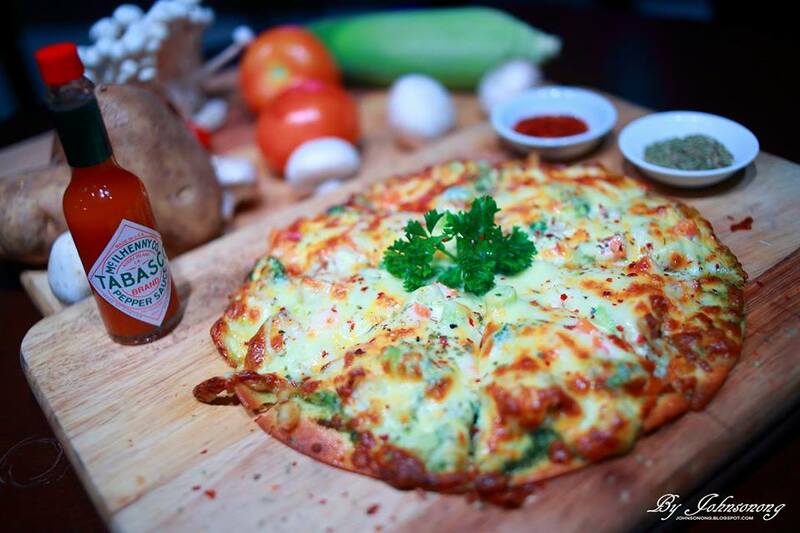 Seafood lovers like me surely enjoy this grilled fin fish pizza along with melted Gouda cheese and cream. 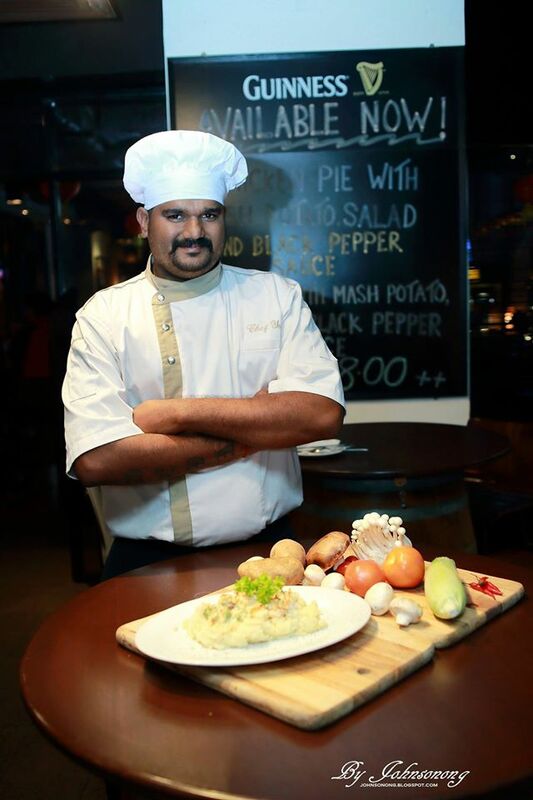 WHT’s Deep Dish Alfredo pizza is thin crust and baked to perfection, it is an irresistible order for the whole family. This is a very interesting pizza that is loaded with eggs, sausages, bacon, mushroom and hash browns with Cheddar cheese. It is extra delicious when eating it hot from the oven. 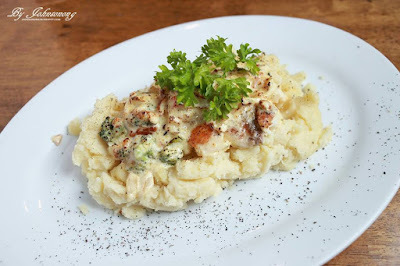 Fin fish gratin surely satisfy any fin fish lover, it is served with creamy mashed potatoes, leeks, carrots and zucchini in cheesy white sauce. WHT’s homemade pies is available for raw and cooked. One can buy home to bake or enjoy it in the cosy bar. 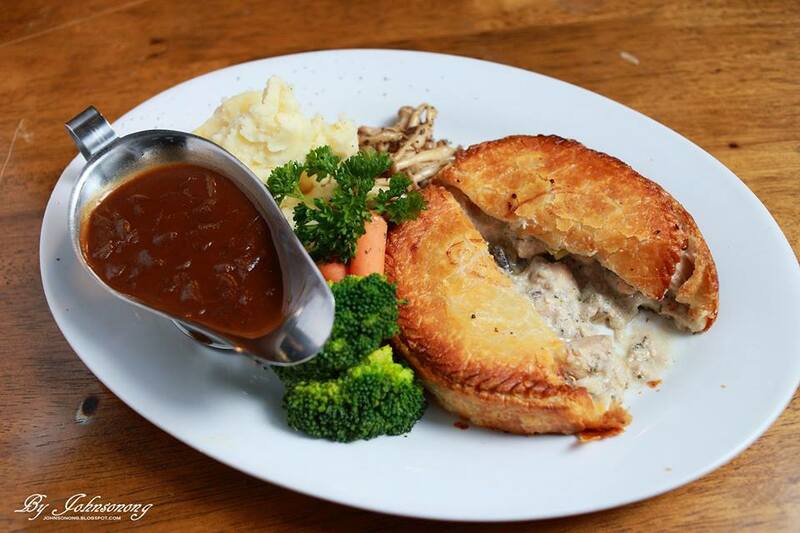 Served with creamy mashed potatoes, Roast Gravy Sauce and sautéed vegetables, Chicken Mushroom pie is highly recommended from us. 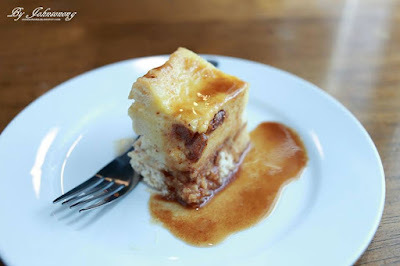 Honestly I’m never a fans of this traditional British dessert but WHT’s Bread and Butter Pudding with Homemade Caramel Sauce has changed my perception. The bread and butter pudding was crispy outside and soft inside. The caramel sauce is the best compliments of WHT’s Bread and Butter Pudding. I believe you are already drooling after reading this post, right? Well, we love all the delicious food prepared by Chef Yogi at White Horse Tavern. 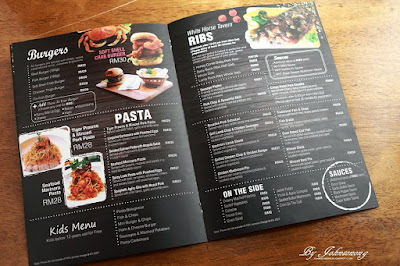 So, bring your family and friends over for a great meal with good people. I try to not eat too much meat but the BBQ Chicken Wings looks delectable. I would definitely give this tavern a try one day. The dishes look really great Rane. 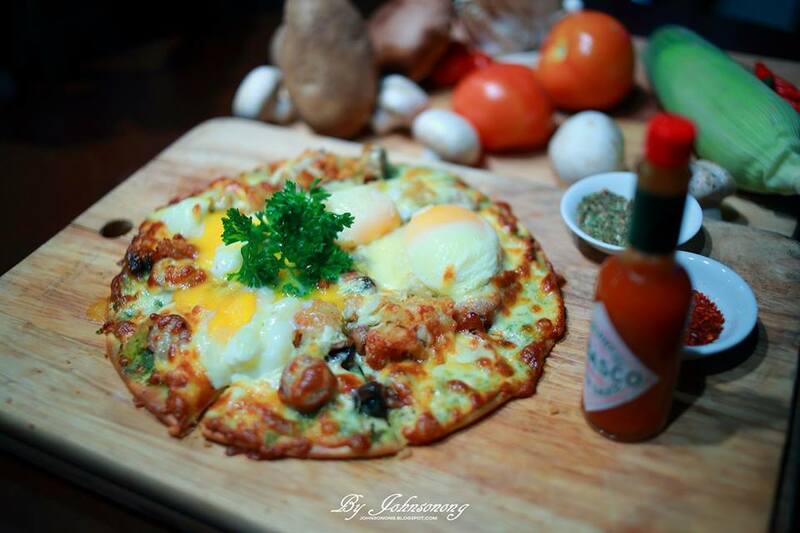 Love the pizza dishes as well - they are definitely very tempting.